Sometimes on a Sunday morning it’s nice to push the boat out and make something for breakfast that’s a bit more time consuming than usual, but well worth it in terms of taste. For me, American pancakes fall into that category. I could eat pancakes any time of the day, any day of the week, but they are a bit of a faff-on to make from scratch because of the time it takes to cook them. However, these American pancakes take no time at all thanks to being able to chuck all of the ingredients into a jug and whisk them together before simply frying them. 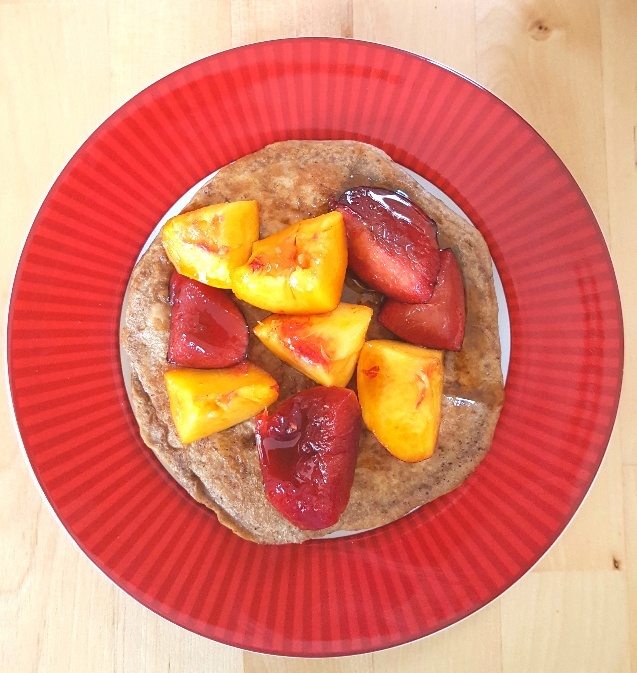 I made my American pancakes with brown gluten-free flour and they turned out really well, with none of the dryness that so often accompanies that type of flour. The pancakes came out of the frying pan nice and fluffy and bouncy, just as you’d expect from an American pancake made with normal wheat flour. 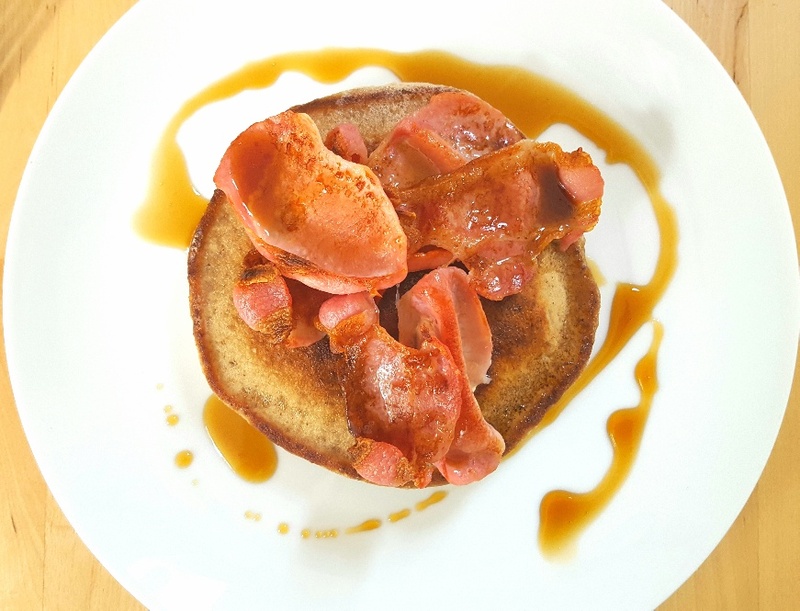 If you fancy making yourself a treat for breakfast I’d highly recommend these American pancakes. You can serve them however you like, the chopped fresh fruit with vanilla yogurt was a delicious option, but my favourite topping was the smoked bacon rashers which were crisped up under the grill and then perched atop my pancake stack and were liberally coated in real Canadian maple syrup. It’s heaven on a plate really. Put all of your ingredients into a jug and use an electric whisk (or some serious elbow grease) to mix it all together. Leave the mix to rest for 10 mins. Put your pancake pan or frying pan on a medium heat and add a tsp of butter or a dash of oil and let it heat up. Once it’s hot, add 3-4 tbsps of pancake mixture into the centre of your pancake pan or frying pan and let it cook. Once a lot of bubbles have begun to appear on the top of your pancake you can gently flip it over to cook the other side. Cook your pancakes until they are golden brown and then remove them from the pancake pan or frying pan and keep them warm in the oven until you’ve finished booking the whole batch. Serve with crispy bacon, maple syrup, fruit, yogurt etc.